We want to attract the best staff to work with our children - people who really believe in our vision and values and want to make a difference to the lives of children in our schools. In return, we pledge to offer the best working conditions possible, the best training and support and career pathways at every level. If you want to join us in this quest, please check this page regularly and contact us about vacancies as they arise. Apply for a headteacher post in an ASSET Education school and go through stage one of the process with complete confidentiality. Finding the right headteacher to lead a school is one of the most important aspects of our work as a trust. We now only appoint to a headteacher position if a candidate has satisfied us that they have excellent leadership skills, the potential to improve a school and very importantly share our vision and ethos. By getting to know you and your aspirations in stage one of our headteacher recruitment process, we can then consider the best placement for you. If a vacancy exists, or when a vacancy arises, we will consider all candidates who have been successful in stage one and find the best match for the school. At this point the process will become public, references will be taken up, and you will visit the school, meet the staff, pupils and parents and a final decision can be made. If you are considering your next challenge, or have aspirations to be a headteacher in the near future, we encourage you to apply! Do you have skills to bring to the world of education? Have you thought about volunteering as a School Governor? ASSET Education is looking to recruit governors to our primary schools. You will need to have a real interest in the communities that are served by our schools and a desire to see children succeed. We are particularly looking for people who have a passion for education and learning and also have expertise to bring in one of the following areas: finance, HR, property, communications, IT, ……..
Our Governors report to the Trust Board and provide “support and challenge” to our school leaders. They meet as a group at least once a term to understand how the school is performing and are expected to take an active and involved part in at least one aspect of school life. For example, a governor with finance expertise would meet with the Headteacher and School Business Manager regularly to support financial decision making and ensure value for money. Equally a governor with expertise in IT might visit the school on a regular basis to support the development of the computing curriculum. When a vacancy becomes available it is advertised within the local community, to staff and to parents. Interviews are held and appointments are made on the basis of the skill sets that are needed by the school. 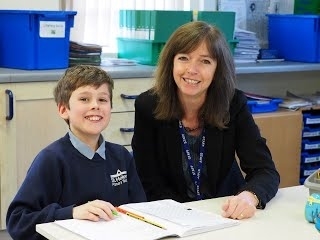 Appointments are made by the Headteacher and Executive Principal with approval from the Trust Board. Governors perform the most important voluntary role in education…. If you would like to make a difference to one of our schools and feel you have something to offer please contact suzanne.wilder-adams@asseteducation.co.uk. We welcome applications from all members of the community and will undertake full safeguarding checks prior to appointment. This is a voluntary post, reasonable expenses can be claimed. "A single good teacher who cares and shows that they care, who is passionate about children, about learning and about life, can inspire a child and have an influence beyond their own life span." "Teachers change the world every day through acts of kindness, courage, hope and integrity."